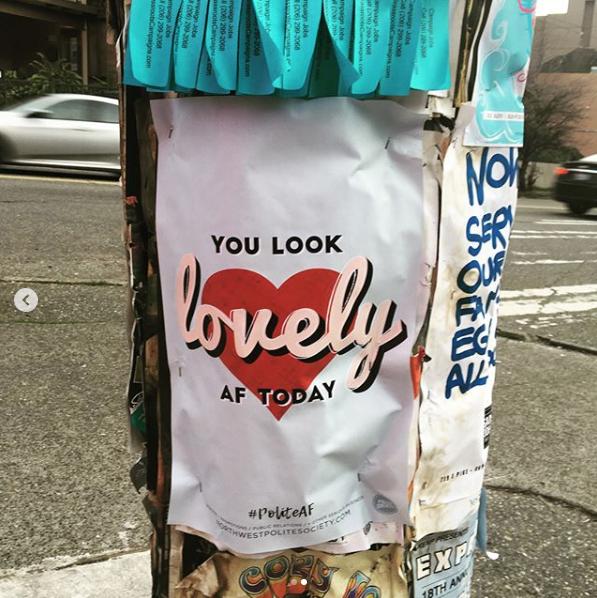 The concept for this project was developed in collaboration with the team at Northwest Polite Society for their annual Valentine's Day marketing campaign in Capitol Hill. 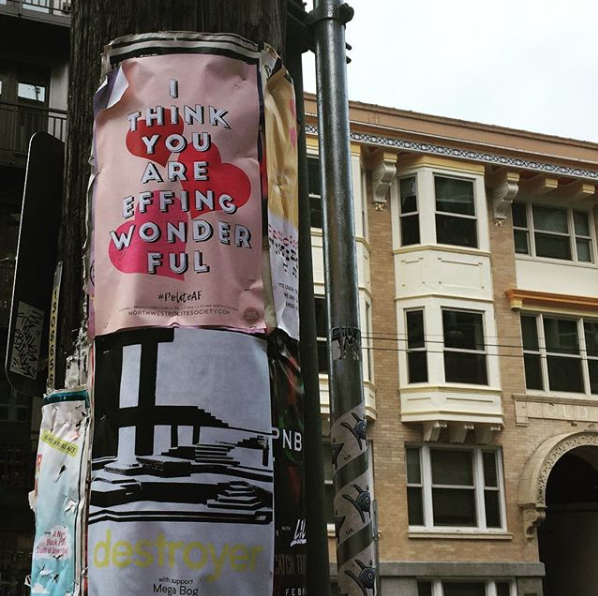 We wanted to create a cheeky and lighthearted street marketing campaign to spread a little cheer around the neighborhood. I created three designs to be used on 11" x 17" street posters and small 4" x 6" postcards to be handed out with candy and attached to gifts for clients. 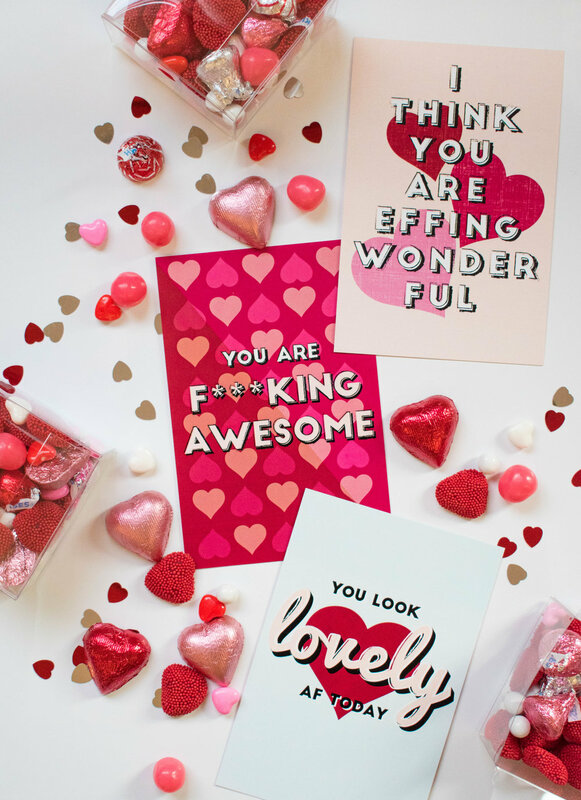 I wanted them to be graphic, easy to spot on the street, and have the aesthetic of a typical commercial valentine. In addition to the design, I staged and photographed the cards to promote the campaign on social media. We received an overwhelmingly positive response to the posters and cards - many people thought they were fun and uplifting! We were able to track a portion of the posts that were shared via the hashtag #PoliteAF.